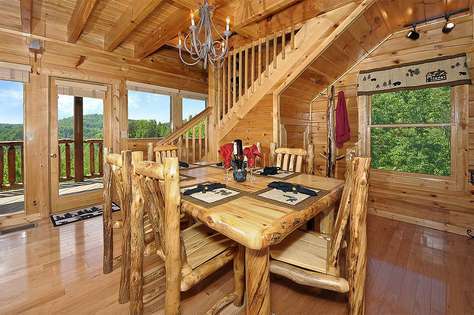 Beautiful 2 story cabin with amazing view of Mount Lecante! 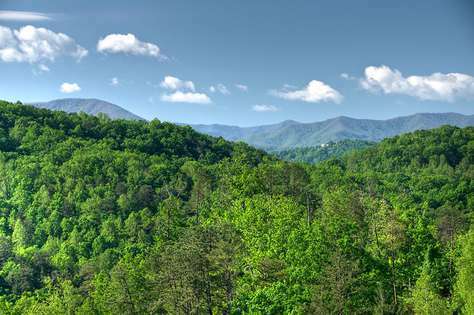 Tennessee Dream is exactly what you’ve been dreaming of when you imagine a Smoky Mountain Vacation. 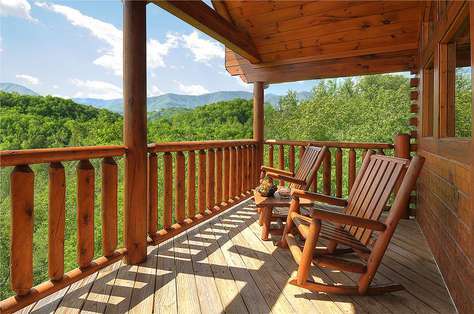 “Just what I was Dreaming of” says it all when you describe this luxurious cabin located only minutes from downtown Pigeon Forge and Dollywood. This cabin is approximately 1,404 square feet. This cabin is furnished with Aspen Log Furniture. 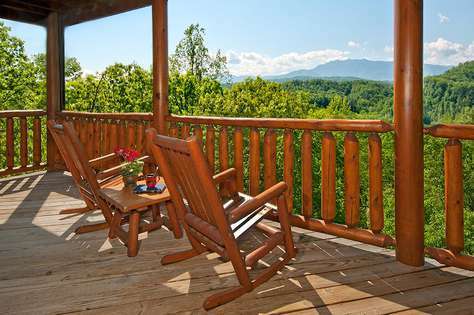 Spectacular mountain views are not the only amenities of this beautifully decorated log wonder. The living room features a high definition, wide-screen TV beside the beautiful stacked stone fireplace. 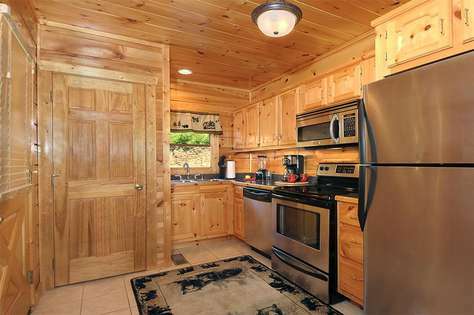 This cabin features a full kitchen with stainless steel appliances, king bed in the master bedroom, and cozy living room furniture. 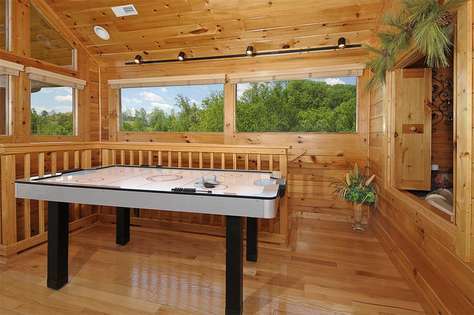 Upstairs in the loft you can enjoy a well equipped game room with pool table and arcade game. There is also a flat panel television and a king bed. 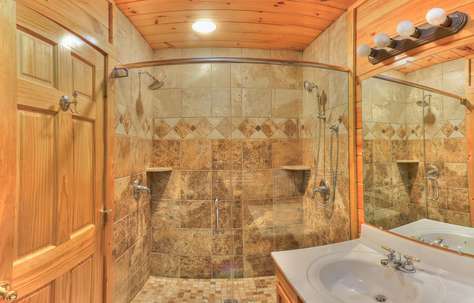 A second full sized bathroom is also located upstairs and is equipped with a Jacuzzi tub for your enjoyment. 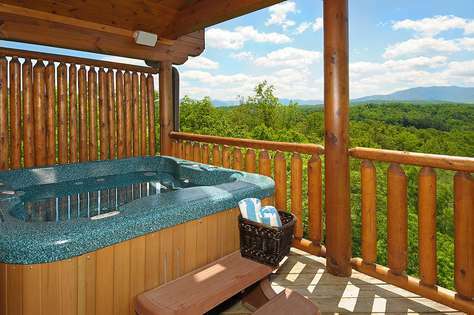 You may also relax in your private hot tub on the deck while taking in the amazing mountain views. This cabin features gorgeous views of Mt. LeConte. 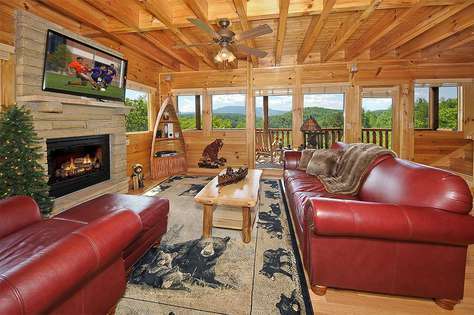 Come and enjoy many Tennessee Dreams in this beautiful cabin. 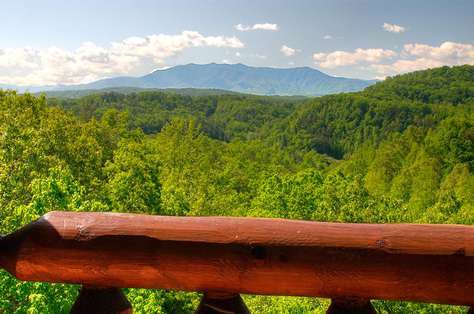 This was our first trip to Gatlinburg, and we couldn’t have picked a better place to stay. The cabin was beautiful, spacious, and clean. My wife and our three small children and small dog fit perfectly. 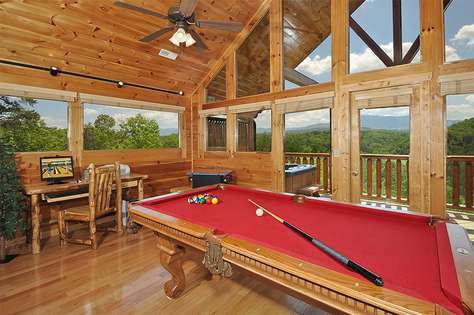 We had so much fun in the game room that we even spent a day in the cabin just playing up there, using the hot tub, and taking in the amazing views. We went in February, so I’m sure the views are even better in the summer or after a snowfall. 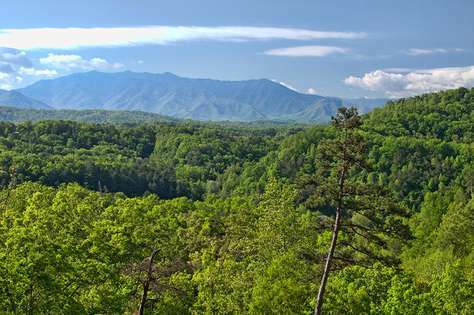 We weren’t sure exactly how close the cabin was to Gatlinburg and PF, but it was such a simple drive to both places — maybe fifteen minutes. The roads and grounds are well maintained, and we had no problem getting up there in our 2WD minivan. The whole booking, check-in, and check-out processes were a breeze, and the price was right, too. I would 100% recommend this cabin to anyone, and we will definitely be back. Although we have been renting cabins in this area for over ten years, this was the first time using Outrageous Cabins. We can't say enough about how much we enjoyed our stay. The Cabin was so very clean....it was immaculate!!! I am very picky when it comes to cleanliness and you couldn't find a speck of dust anywhere...not on the furniture, chandeliers, decor, knick-knacks...no where. The interior's decor was tasteful and very coordinated. Besides being extremely clean, it was unusual to be a a cabin that didn't have spider webs outside near the entrance or on the decks...there were NONE!!! 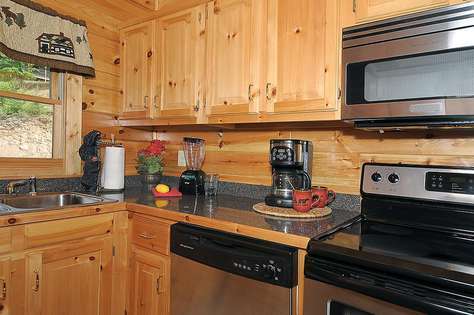 The staining of the cabin's exterior was meticulously applied and it was obvious that multiple coats were used to protect the investments of these beautiful cabins You could clearly see the difference in an Outrageous Cabin vs. the other rental cabins in the area. The check-in process was very easy and the staff, very friendly. 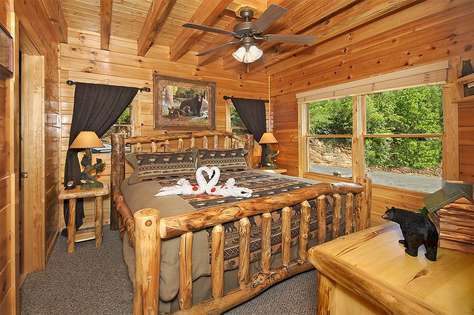 We will continue to rent from Outrageous Cabins for all our future visits to the area. Our stay with Outrageous Cabins in Tennessee Dream was wonderful. We came to celebrate our 28th anniversary and it couldn't have been better. 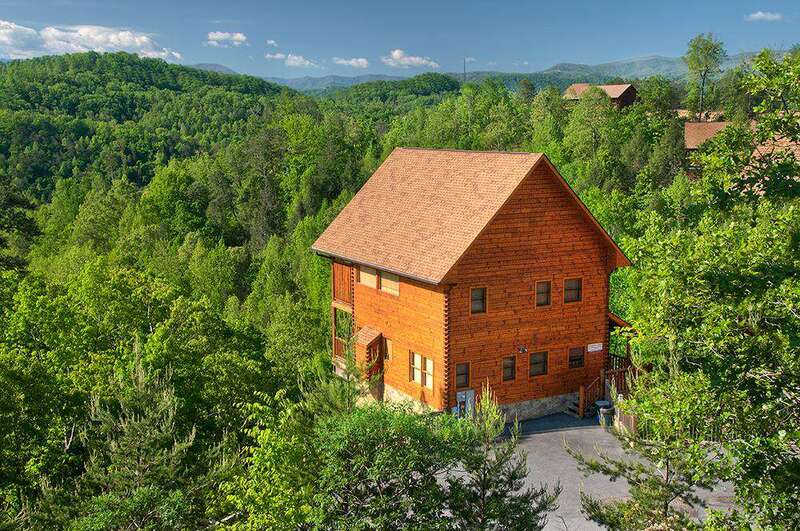 We've been coming to this Smokies for the past 12 years and I must say this cabin was the nicest one we have rented. We have used a couple of different rental agencies in the past and our experience with Outrageous was tops as well not to mention the great rate. The furnishings in Tennessee Dream were perfect. The double tile shower was great, the beds comfortable, the game tables fun, the internet service flawless, we could go on and on. One of our favorite things was the hot tub, not only was it hot and soothing but also had a sound system with speakers mounted outside! Nice touch. There was one issue that was quickly resolved. The hot tub didn't seem to be heating up our first night. We contacted the office the next morning and they had the lady that cleans the cabin stop by to check. Seems it was only in 'sleep' mode and was quickly fixed and heating up in no time. It was this experience that has made Outrageous Cabins our only choice from now on. The lady was very pleasant and you could tell she loves her job. While talking with her, she remarked how great the owners of the company were and how well they treated their employees. A company with this reputation must be doing something right. We are already looking forward to our return next year - if we can wait that long! Tennessee Dream Cabin was a beautiful cabin with great amenities. We had a fantastic time and will be recommended Outrageous Cabins to family and friends. Hope to be back soon! Also, we received great customer service. Thank you! My wife and I had a wonderful time. We were very impressed with the cleanliness of the place. We especially enjoyed sitting in the hot tub at night and listening to the radio. We loved playing pool and trying to relive our youth by playing the 1980's arcade games. We are from Greensboro, NC and found that the drive was really not that bad at all. I think that we will definitely be coming back in the future. Thanks for a wonderful time. Would like to start out by saying the staff at your company is outstanding! Very helpful and polite! We were lost on the way in and one of the girls stayed on the phone and guided us directly to your door. The cabin was beautiful, just like the pictures and VERY clean (which is one thing I am picky about). I was impressed with how clean everything was there wasn't a spot missed. Thank you so much for the wonderful stay and all your assistance in booking and while there. We appreciate it very much! We stayed in "TN Dream" from 6/6 - 6/9 and loved it. The cabin is truly a dream come true! Our grandkids had so much fun with the games. 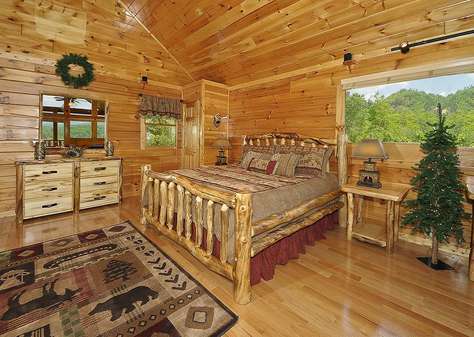 I would call it a "high end cabin" because it was beautifully decorated, well equipped and very comfortable. The only improvement that would be helpful is the kitchen is lacks a place to store in a cabinet grocery items. It was necessary to leave on the counter unless I rearranged the dishes in the cabinets. The oven handle broke which was an inconvenience, but the problem was addressed immediately by staff. We would like to return in the fall. Thanks. We had a great time, really enjoyed the cabin,The cabin was beautiful. We will be back. Thanks Johnny and Family.